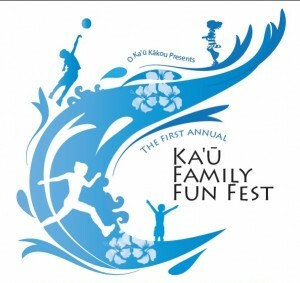 Billing itself as “the southernmost Goodwill Games in the USA,” a half marathon and family festival is planned for Na’alehu Park on the Big Island on Saturday, June 11, 2011. It will feature a Half Marathon, 10K and 5K races, and a variety of athletic tournaments for all ages. Online registration is now available for the event, which will be a fundraiser for Bay Clinic, a network of nonprofit community clinics. Proceeds will go toward the construction of a new Ka’u Family Health Center. Organizers say this event will take place annually, and that it promises to be a memorable experience for runners of all ages and abilities. The race course traverses an old historic “Cane Field Road” in Ka’u, once used for hauling sugar cane to Na’alehu and Pahala sugar plantations. Offering one of the most scenic views of the Big Island’s southern coast, the route encompasses over 30 miles of breathtaking coastal landscapes from mauka to makai (mountain to sea). For more information, contact race director Raylene Moses at (808) 235-8251 or kaufamilyfunfest@gmail.com for information on volunteer, sponsorship and vendor opportunities.